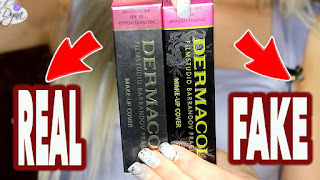 TOP 5 ELF lip products !! + ELF collection photo!! So.. the following is a photo of my current ELF collection - without the ones in my last haul haha .. I love this bundle of joy. Unline your lips, and you're good to go out with confidence that your lipstick / gloss won't bleed. This lipstick is seriously gorgeous in person, it a pink with a strong coral sheen. This gloss is seriously amazing. It really is the perfect pink and it is quite pigmented for a gloss too! and I'm seriously in love with blackberry creme. Cute collection, and I notice you do love Party Pink. You seem to use it pretty often, and for good reason--it is very lovely. I really need to get runway pink .. it has such good reviews!! I need that lip lock pencil in my life! Wow, that's a nice collection of ELF products! I recently got into ELF but got none of the top 5 products you mentioned. I'll need to look into those next time I make a purchase. Great post. Love your blog. New follower. It'd be great if you could check out my blog too.